Active versus passive? How much distance/ownership do you take in your writing? 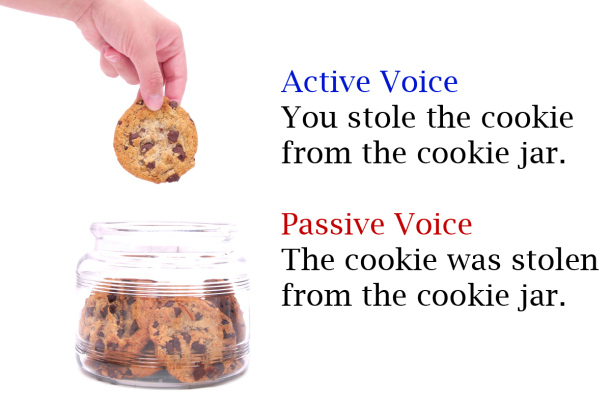 Use strong active phrases and verbs and write in the active voice. Think of every sentence as it is actually happening — a subject performs an action (active voice). An action does not happen to a person or thing (passive voice). There’s a fun little trick to help you identify active versus passive voice: If you can add “by zombies” after the verb, and the sentence makes sense, you are writing in the passive voice and should restructure. The other trick? Avoid the “is” to “to be” construction and find a word that shows the action. To read the full article which features more writing tips, click here.